Pinellas Heat Elite Volleyball Club, Inc. uses the EZ Facility website for registration. 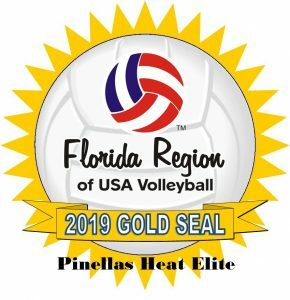 Pinellas Heat maintains its web site at http://www.heatvolleyball.com; it links to the EZ Facility site for registration for all camps, clinics and lessons, as well as club volleyball teams. Pinellas Heat is committed to protecting the privacy of users of its site. This policy gives you details of our privacy practices, including a) what information we collect about you when you use this site; b) how the information is used or disclosed; and c) your rights with respect to collection and use of your data. What Information Does Pinellas Heat Collect And Why? Pinellas Heat will collect certain personal information necessary for registration for camps, clinics, lessons and club volleyball teams. Depending on the age of the registrant, the information collected may include name, address, phone number, e-mail address, and birth. This information is collected to provide the Club with the information necessary to contact members in regards to scheduling of lessons, camps, and clinics, as well as collection of fees owed. The information on players 14 years of age and over may be made available to college coaches for recruiting purposes. Pinellas Heat will not knowingly disclose identifying information on a child 13 years of age or under to any third party except for those situations listed below (see “How else does Pinellas Heat use/disclose Information it collects”). Pinellas Heat’s site and its use of the STP website are not specifically directed to children 13 years of age and under. However, personal information about a child 13 years of age or under must be submitted for players to enroll in lessons, camps, clinics and Club. Information collected for children 13 years of age or under is limited to that necessary to complete lessons, camps clinics and Club registration. For Club registration this includes name, address, phone number, e-mail address, and birth date. How Else Does Pinellas Heat Use/Disclose Information It Collects? Pinellas Heat may collect non-personal information, such as IP addresses, numbers of site visits and tracking patterns of page viewing in order to monitor the performance of the site and to make improvements to it. You have a right to correct, amend or delete the information that Pinellas Heat, through the EZ Facility program, holds about you if it is incorrect. If you wish to exercise these rights please contact us by post or e-mail at the address shown in the “Contact” section below. For children 13 years of age and under, parents may elect to have their child’s information restricted to Club or tournament registration, although Pinellas Heat will not knowingly disclose identifying information on a child 13 years of age and under to any third party except for those situations listed above. Pinellas Heat is in the process of determining what technology is necessary for it to employ to prevent a child 13 years of age or under from entering registration information without her parent’s consent. Pinellas Heat Volleyball Club, Inc.